WASHINGTON—As legislators gathered Tuesday for a critical vote that would go a long way toward finally repealing and replacing the Affordable Care Act, Senator Shelley Moore Capito (R-WV) was reportedly struggling to weigh the interests of her entire constituency against absolutely nothing. 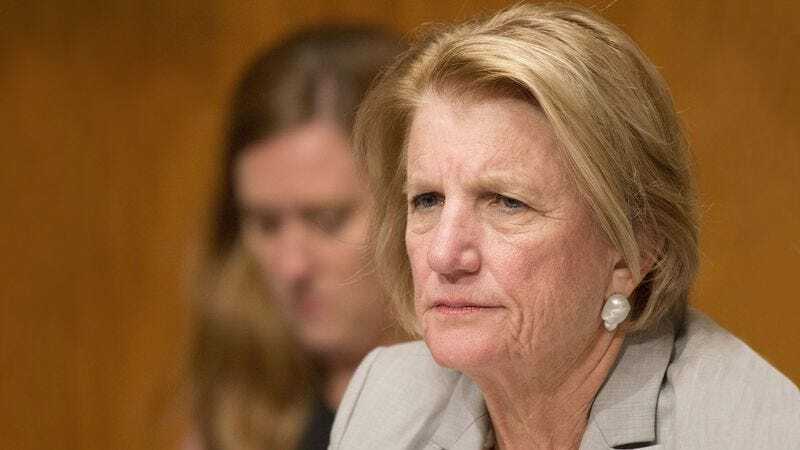 “Honestly, it’s a tough call—on one hand, you have opposition to the repeal from a majority of Republicans, virtually all Democrats, and the entire healthcare industry, while on the other, you have not one sound argument or credible opinion,” said Capito, admitting she was, even now, having difficulty balancing her desire to keep as many West Virginians insured as possible with there being no reason whatsoever to do otherwise. “This is an agonizing decision. Sure, there are sound justifications for voting no on ‘repeal and replace,’ but then there’s emptiness, literal emptiness, when you look for reasons to vote yes. All I know is, I have to get this right somehow.” At press time, Senator Capito had resigned herself to the fact that both sides had valid points and she would just have to go with her gut when the time came.